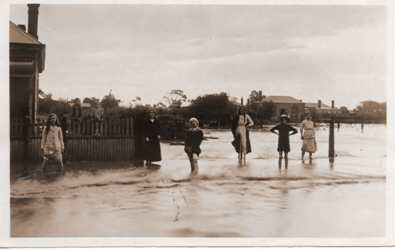 The 1956 flood of the River Murray was the most significant flood event in South Australia's history. Levees surrounding Renmark only just saved the town from extensive flooding, but further downstream, Swan Reach and Mannum were not so lucky. Widespread damage occurred to houses, property and horticulture. More recently, heavy rain in November 2005 caused the Gawler River to flood large areas of Virginia, resulting in approximately $40 million of crop damage. In January 2007, severe storms led to flooding in Port Pirie, Whyalla and Hawker with the damage bill in Port Pirie alone estimated to be more than $2 million. 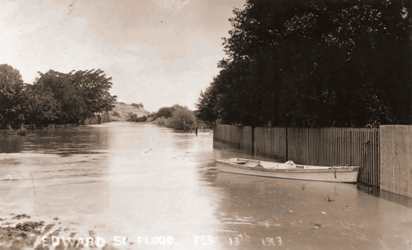 The Holdfast Bay History Centre has supplied us with copies of a number of photos which illustrate flooding in the Holdfast Bay area during the past century.